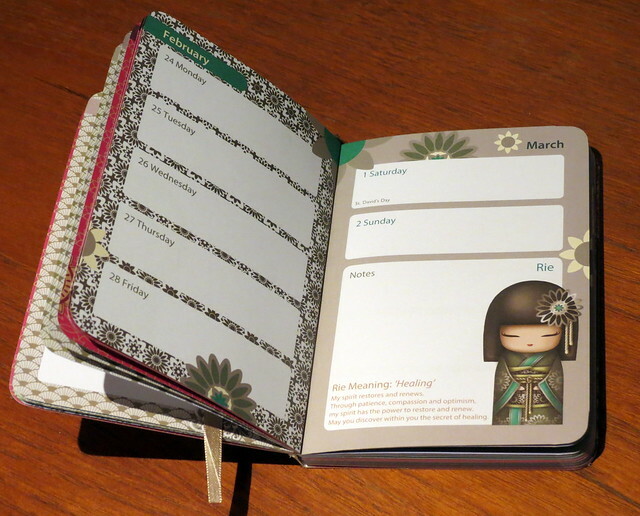 The calendar is simple, and very, very pink! 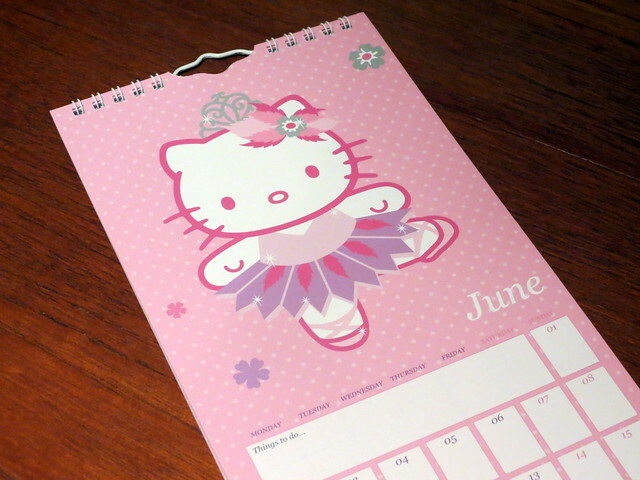 Kitty wears a cute ballerina outfit, and she’s in a different pose each month. Kawaii! 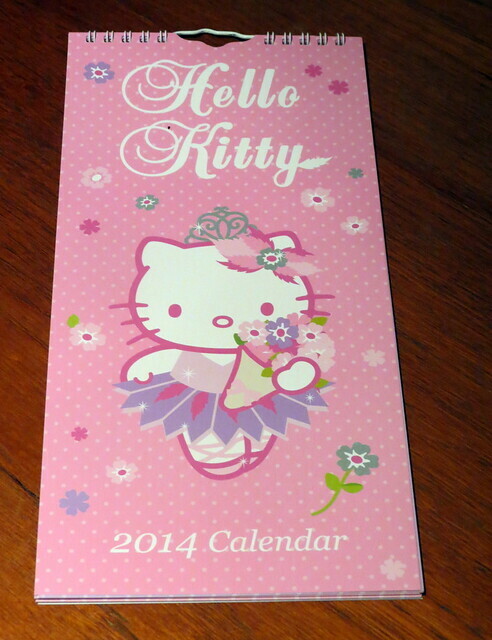 This is an official Sanrio product, distributed from the UK but printed in South Korea. 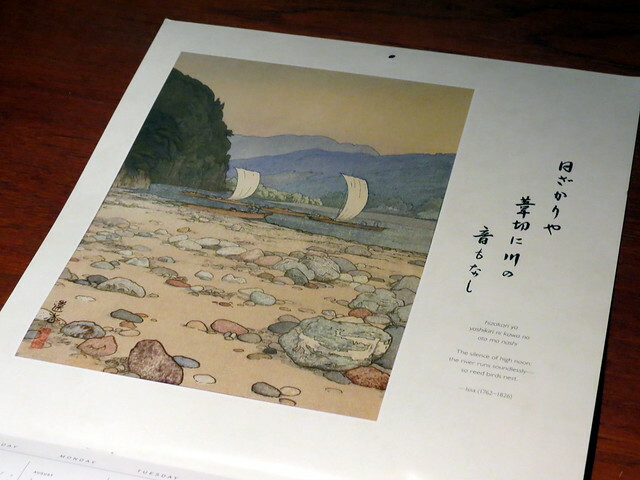 And I also bought this ‘Haiku – Japanese Art and Poetry’ calendar for myself. 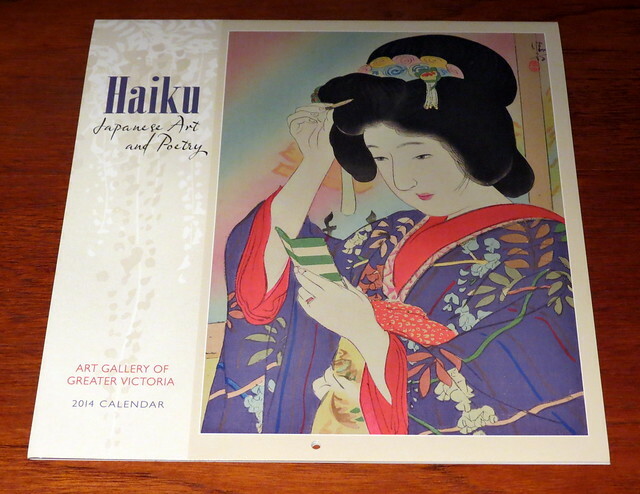 All of the prints in the calendar come from the collections of the Art Gallery of Greater Victoria in Canada. 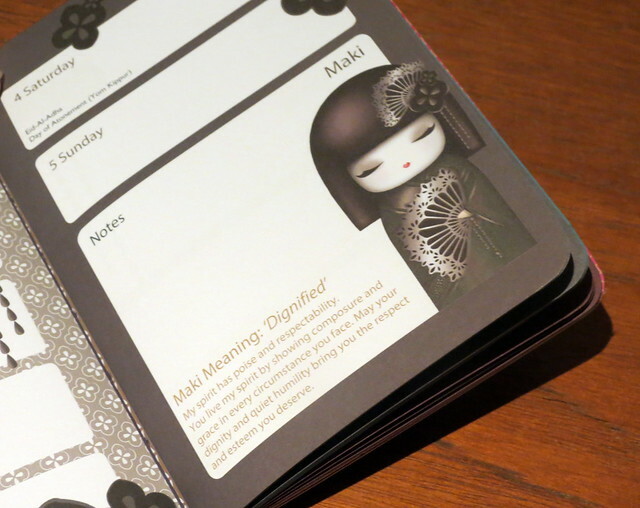 Each month has a different character, and a meaning is given for each character’s name. 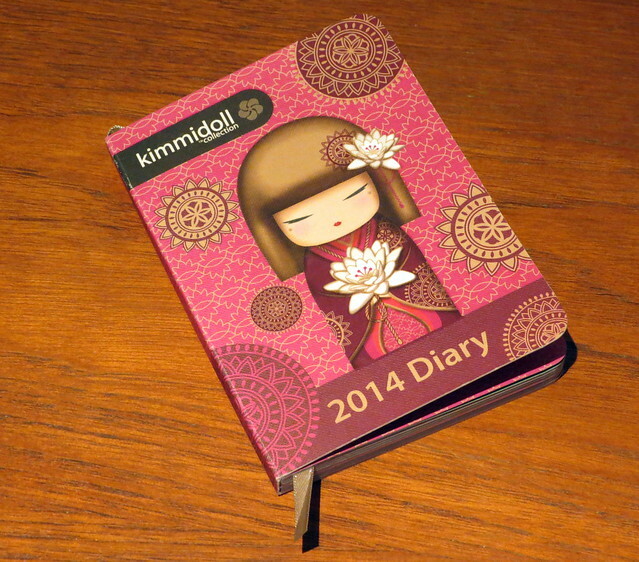 I love the Kimmidoll range, and have purchased a couple of items before. The dolls, modelled on Japanese kokeshi (こけし) dolls, are really cute. Unfortunately, they are from Australia and aren’t so widely available here in the UK (although some can be found on Amazon and eBay). 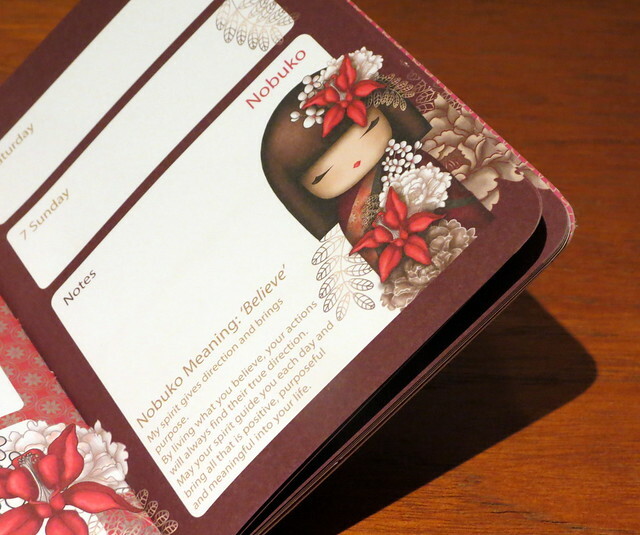 Did you get anything Japanese-y for Christmas?